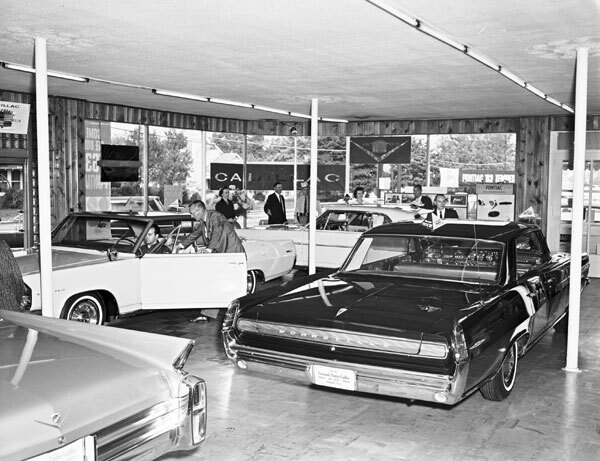 It was happier times for GM and Pontiac in 1962 when these photos were taken at the Townsend Pontiac-Cadillac dealership in 1962, an era when Detroit steel was almost always completely new each Fall. It was always an event to see the new models and if you look closely you can see that even the Sheriff has stopped in for a look. The stunning new Grand Prix can already has an interested customer. Not a bad choice at all.